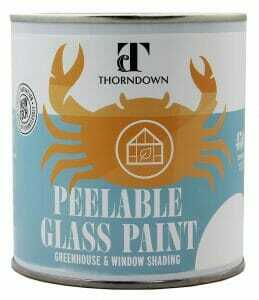 Thorndown’s revolutionary Peelable Glass Paint, made from recycled plastic, is now available in a handy 450ml tin. Developed with a major greenhouse manufacturer and distributor, this new pack size is perfect for most garden greenhouses. Launching on Monday 15th April it will be available to purchase from our online shop and direct for retailers. Thorndown’s Peelable Glass Paint has changed the world of greenhouse shading for ever. No longer does it have to be a horrible, awkward job with hours of scrubbing to remove old coatings. 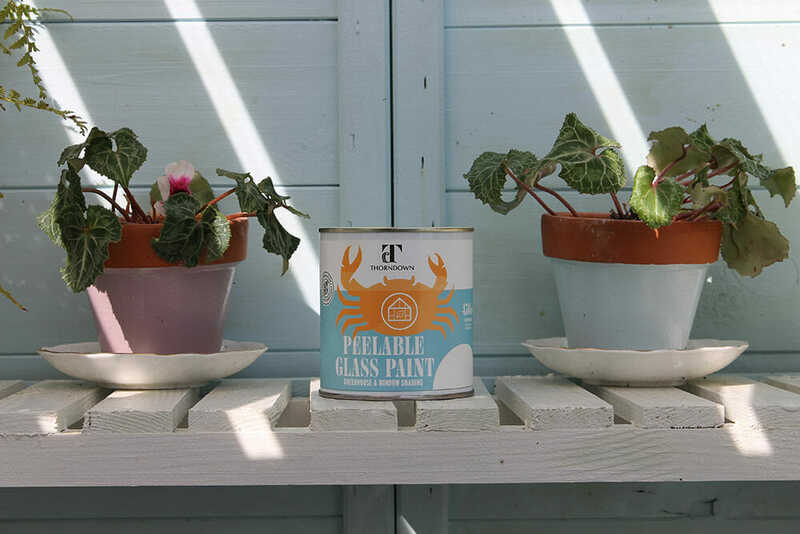 With Peelable Glass Paint simply apply with a roller then at the end of the season, peel off whole panes to remove. Pick at a corner and peel off a whole sheet! 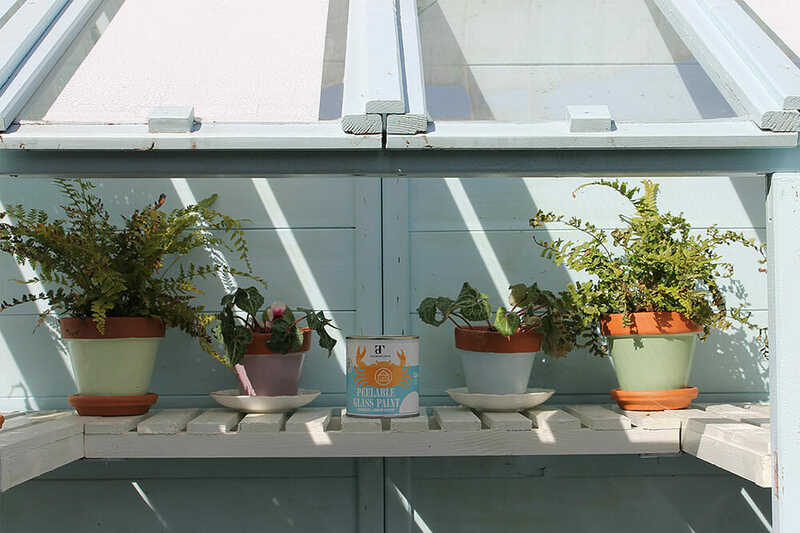 One tin, one simple solution for greenhouse shading. Now painting on greenhouse shading can be fun, easy and attractive. With a wholesale price of £8.00 excl. VAT and RRP of £16.00 for a 450ml tin, it’s also an affordable choice. 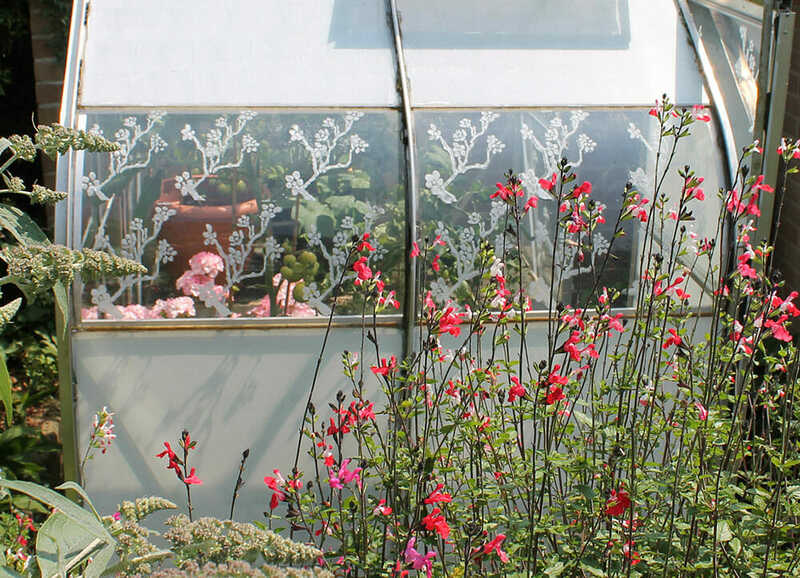 Originally developed for greenhouse shading Peelable Glass Paint can also be used for conservatory shading, security and privacy screening or arts & crafts.